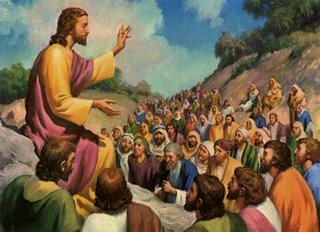 Jesus told his disciples a parable about the shrewd manager. Jesus said to His disciples, “There was a shrewd manager who has a servant. Sometime later, someone reported to the shrewd manager that the servant is wasting his goods. So he called in the servant. So his master fired him, he started to call in every one of his master’s debtors. The person replied,’ One hundred measures of wheat.’ The shrewd manager says to him,’ You only have to pay back eighty measure of wheat now’. When the master find out about it, he condemns the shrewd manager. The people in this world are shrewd than the children of light. Whoever can be trusted with worldly wealth, he can also be trusted with true riches? If you are shrewd in dealing with someone else’ property, who will give you their property?